When you host special events, such as concerts and celebrations, ESI Security Services can provide crowd management. Our crowd management services enforce the policies and procedures of your venue while maintaining high customer service standards. We will guide the movement and activity of the crowd at your event in a professional and courteous manner. Our officers are trained to monitor the guests for potential problems or conflicts and to maintain the safety of your event and guests. 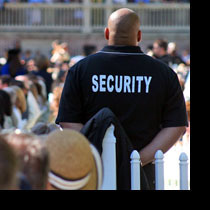 With ESI Security Services taking care of your guests, you can host a safe and successful special event.